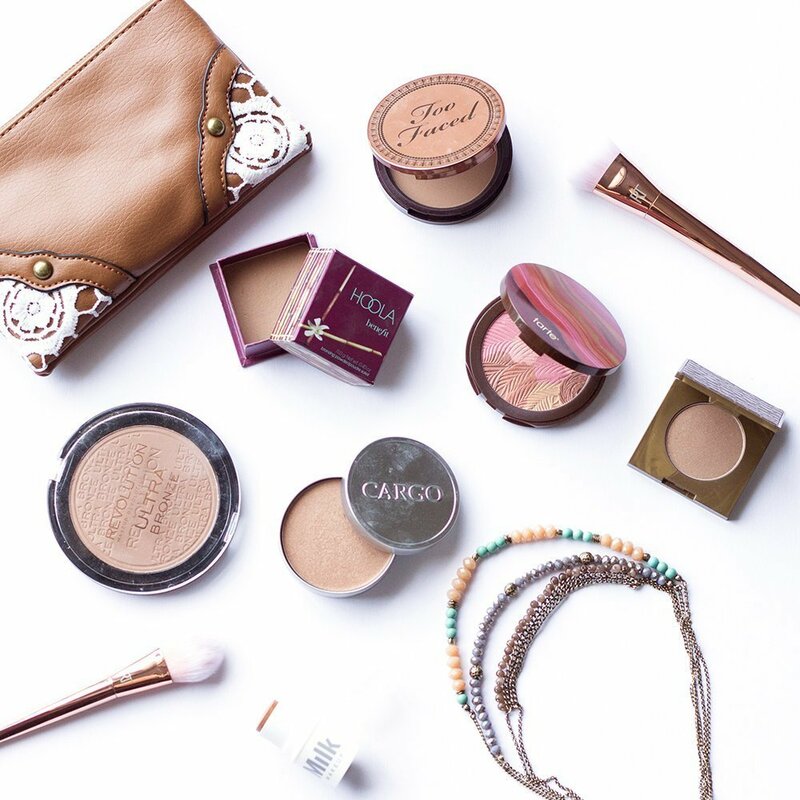 When I think about quintessential summer makeup, bronzer is definitely at the top of my list. If you’re a pale gal like me, there’s no shame in faking that sunkissed glow (especially when an actual tan comes at the expense of things like wrinkles and skin cancer…amirite??). 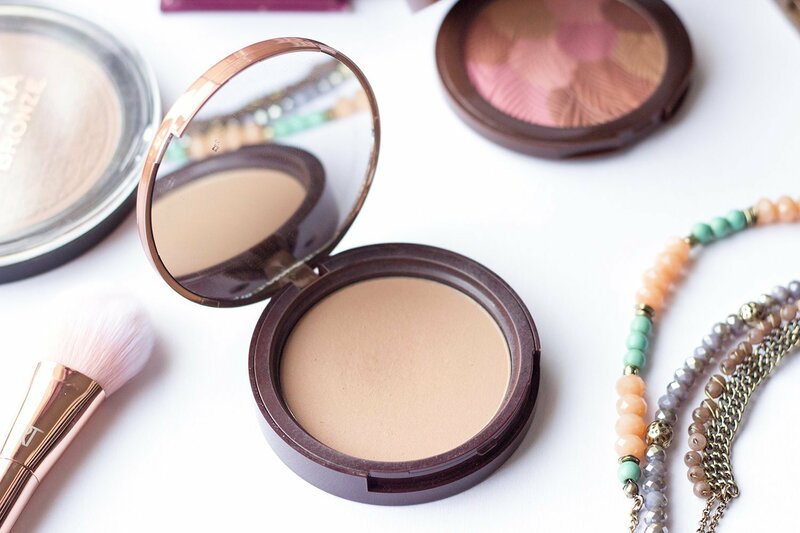 Whether you want to chisel out your features with full-on contouring, or warm up your complexion with a gentle dusting across your face, bronzer is a beautiful and versatile product that no makeup collection is complete without. Speaking of makeup collections, I am fully aware that I have way more makeup than is necessary for the average person. As much as I want to try every new product I lay my eyes on (and rush over here to tell you all about it), I’ve only got one face, and a finite number of days to put makeup on it. 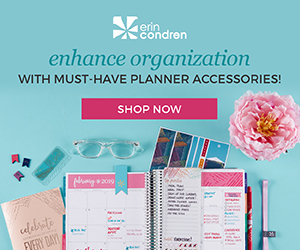 So, as a fun way to encourage myself to revisit products I haven’t given love to in a while, I thought I’d start a “Shop the Stash” series here on the blog. In other words, instead of running out and spending all my money at Sephora, I’m going to “shop” through my existing stash, swatching and reviewing along the way. 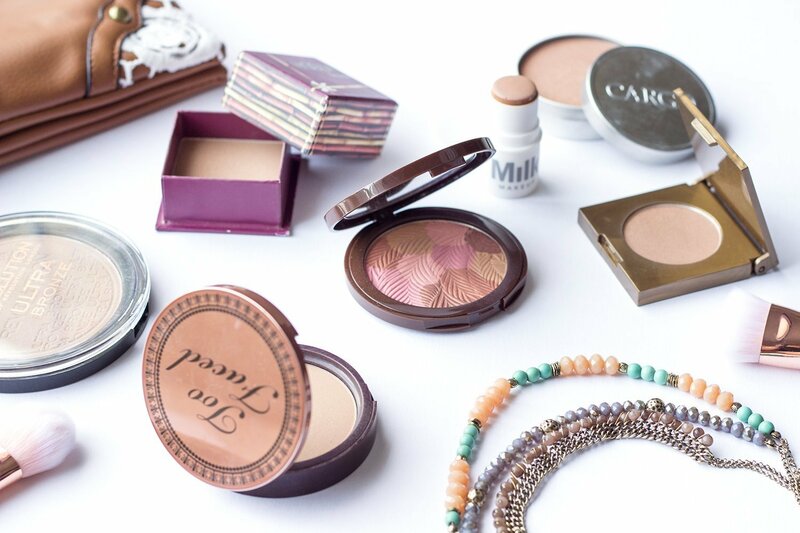 Seeing as summer is officially right around the corner, I thought that bronzers would be a fun place to start. 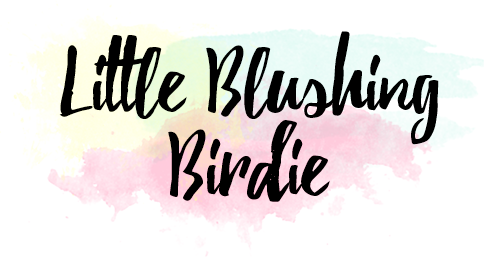 As a sidenote, today I’m sharing my individual, standalone bronzer only. 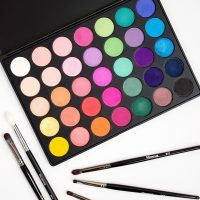 I’ve got plenty of face and eye palettes that contain some bronzer or bronzer-esque shades, but I figured palettes are an entirely separate beast we can cover another day. Are you ready to go not-shopping? Of course you are! Looking at my bronzer collection, I’m actually pretty pleased with myself for having a decent amount of variety. Over the years I’ve experimented with different types of finishes, textures, and shades to try and figure out what works best for me and my complexion. 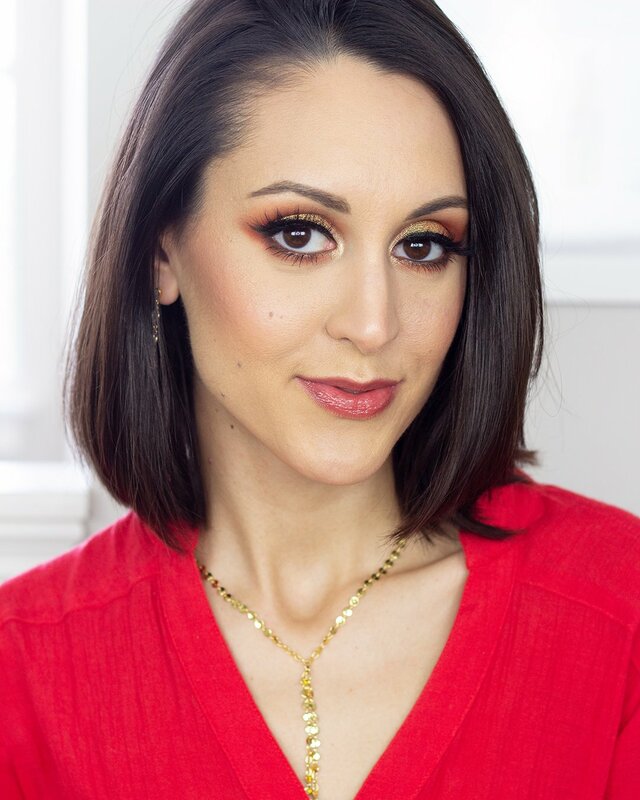 Generally I’ve found I like to use certain kinds of bronzers for creating certain kinds of looks, so it’s actually nice to have a few to pick from on a day to day basis. Do you need 7? Yeah no, probably not. But having a matte option and a glowy option is definitely helpful. So let’s get into each of these bad boys and chat a little bit about them! Probably the most loved and most frequently used bronzer in my collection is the Too Faced Milk Chocolate Soleil Bronzer ($30). This is my ride-or-die, if-I-could-only-have-one, bronzer of life. First of all, it’s made with cocoa powder and smells absolutely divine. No, scent is certainly not everything, but it makes this product just so darn enjoyable to use it has that little edge over other matte bronzers. Speaking of which, if I had to pick a finish for everyday use, matte is the way to go in my opinion. With so many shimmery blushes and highlighters on the market, I like being able to control my glow factor by keeping my bronzer matte. This particular product has a very smooth and blendable consistency, letting you create a natural looking glow, or contour with ease. 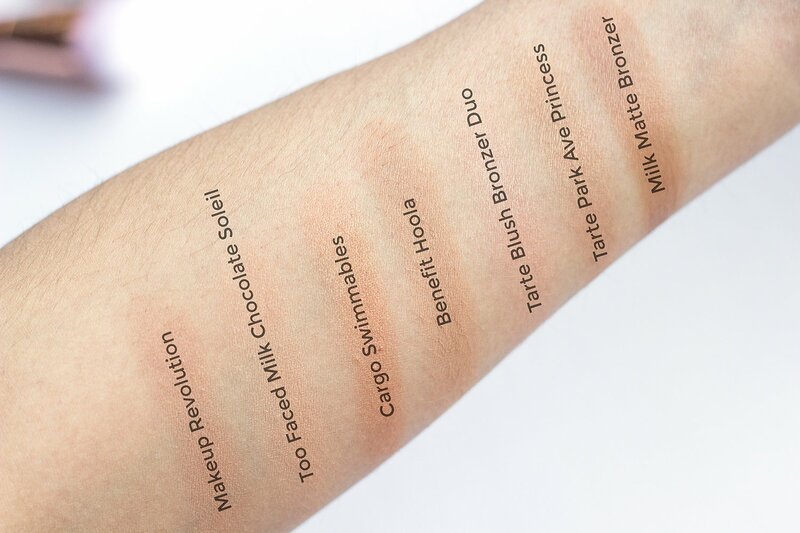 The original Chocolate Soleil Bronzer was a bit too dark for my complexion, but Too Face fortunately expanded the range to include this Milk Chocolate version, as well as a Dark Chocolate version for my deep skinned gals. Is it pricey? Yes. But one pan will last you ages, and I think it’s completely worth every penny. 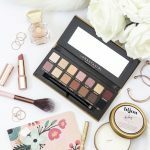 The Tarte Colored Clay Bronzer Blush in Pink Bronze ($30) was a product that I happened to acquire when I decided to pick up the Tarte Double Duty Beauty Discovery Kit back in April of this year. This is definitely one of the more unique products in my collection, and also one of the most beautiful to look at. The marbling of pinks, bronzes, and beiges in the pan is lovely, as is the leaf print embossing. Unfortunately, this is one of those products that’s way more impressive in the pan than it is on the face. My biggest complaint with this product is the color payoff, which is mild at best. If I swirl a large fluffy brush in the pan and pick up all the colors together, the end result is barely visible on my cheeks. I find I really have to layer it up to get it to appear on my complexion (which is not incredibly fair, but not exactly medium either). I do like that I can use a smaller, denser brush and just pick up certain parts of the pan if I want more bronze or more pink, but generally I think the novelty of the color variety is sort of undercut by the way the product performs. 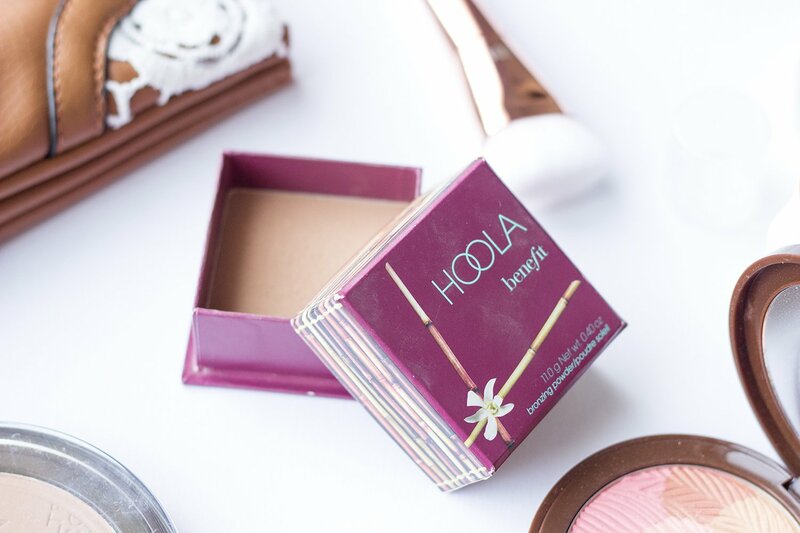 My first-ever high end bronzer was the Benefit Hoola Matte Bronzer ($29). This is one of those cult favorites that people rave about far and wide. And trust, I can understand why. Much like Too Faced’s Chocolate Soleil, this bronzer is beautifully pigmented, blendable, and has a versatile matte finish. There are a few reasons, though, why I’ve generally been preferring my TF bronzer over this one. First of all, compared to the Milk Chocolate version in particular, Hoola is a bit deeper in tone. Its way easier for me to rock this product in the summer when I have a tan, but its a little trickier for me to work with year-round. Second, the packaging, while adorable, is a bit more bulky and annoying to store or travel with. 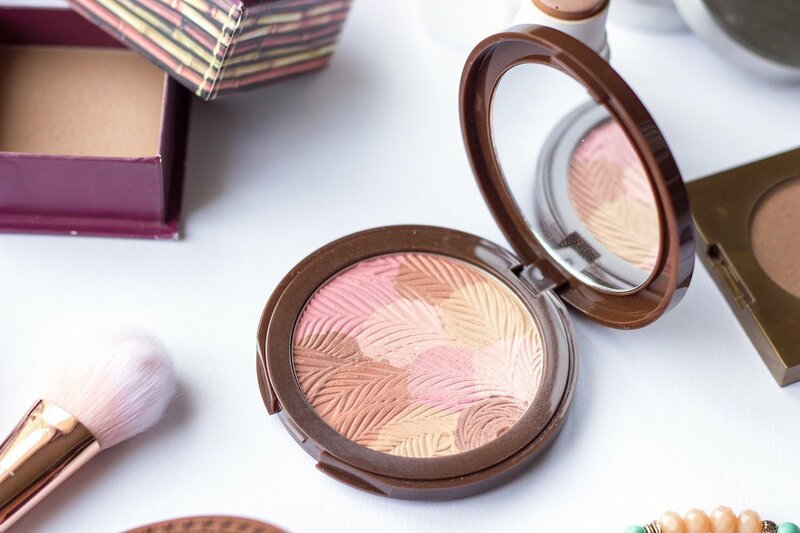 If you’re someone with a light to medium complexion, you may totally love this bronzer, especially for contouring. But if you’re on the fair side (or super deep), there may be other options better suited to your skin tone. Maybe about a month or so ago I realized I didn’t have any affordable bronzer recommendations to share with you guys, so I decided to hunt around the drugstore and see what I could come up with. 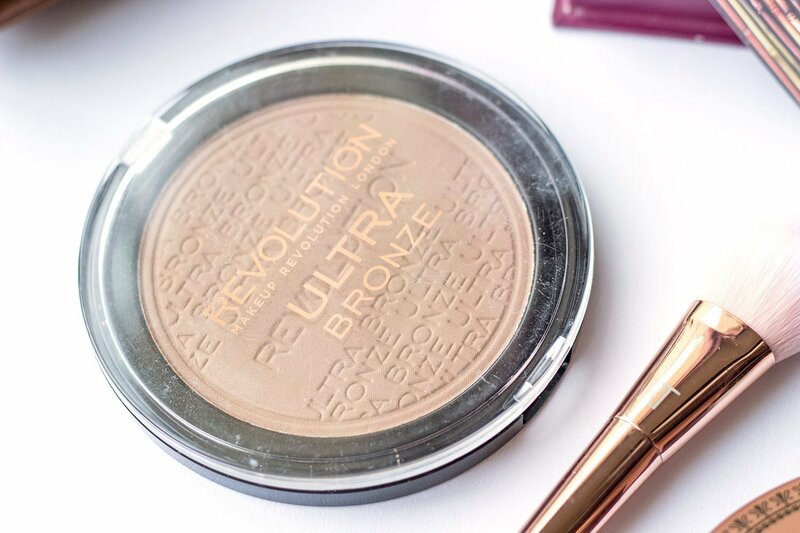 As soon as I saw the Makeup Revolution Ultra Bronze ($7) I knew I had struck gold. First of all, for $7 this pan is HUGE. If you’re one of those people who likes to use a giant brush to apply their bronzer, this pan will be able to take it. The product itself is also top notch. It feels really buttery and smooth to the touch, has tons of pigmentation, and blends out like a dream. I also appreciate that the finish, while matte, isn’t chalky and flat. It’s got a slightly satin appearance to the skin that adds glow minus the shimmer. 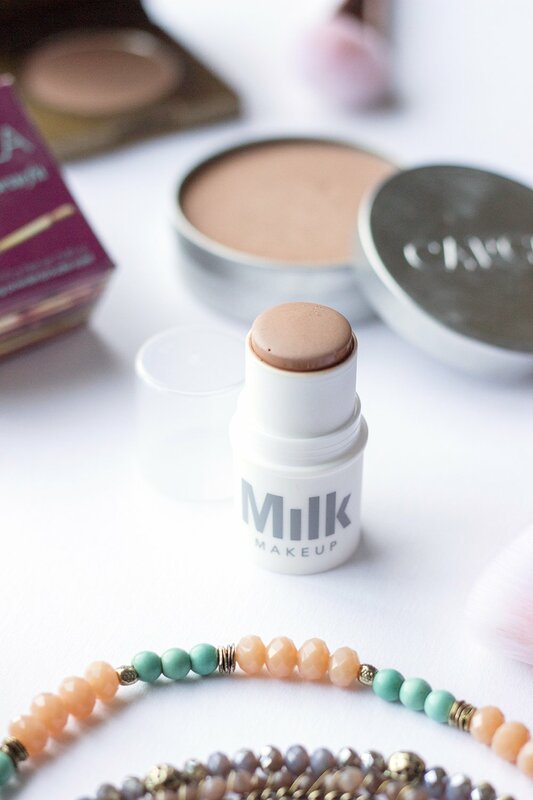 Tone-wise, this falls somewhere in between the TF Milk Chocolate and Hoola, making it a perfect option for fair to medium complexions. 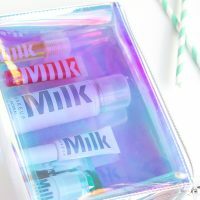 If you recently saw my May Favorites post, you’ll already be aware of my love for the Milk Makeup Matte Bronzer ($24). 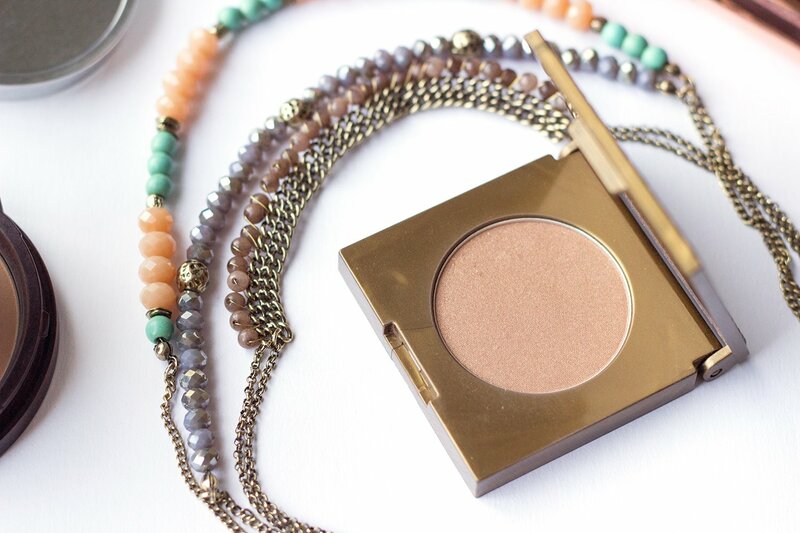 This is my favorite on-the-go bronzer to throw in my makeup bag. It gives you a super natural looking glow, and is insanely easy to blend out. Unlike a powder bronzer, this I can apply using my fingers, which is sometimes necessary for those “I’m-putting-my-makeup-on-in-the-parking-lot-at-work” mornings when I really don’t have time to go all out. This particular version is not the full size, but rather a mini version that came in the Have a Good Trip Travel Set. 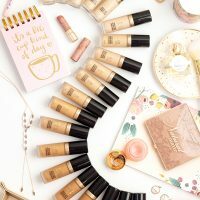 If you’re a fan of cream products, this is definitely one you don’t want to miss out on! 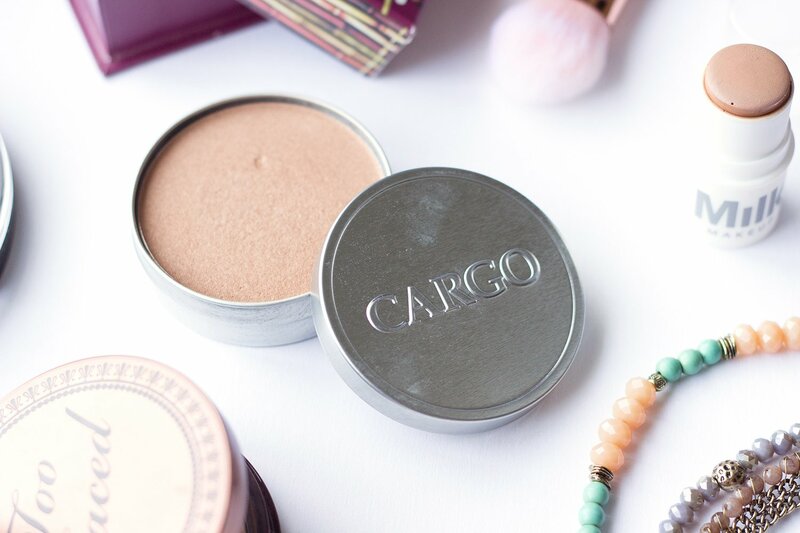 The Cargo Swimmables Water Resistant Bronzer ($29) is one of those products I only reach for in the warmer months. I originally picked it up as part of a value set with a bunch of different summer essentials, which only cost a little more than this full-sized bronzer alone. The whole idea of a “water resistant” bronzer sounded intriguing to me, especially for summertime when trips to the pool and beach are plentiful. And while this bronzer is beautiful and incredibly long wearing, it definitely brings the glow factor and has a much more orange-y undertone. This would NOT be something you’d want to reach for if you’re planning on contouring. However, if you want to give your skin an all-over healthy glow it definitely is a lovely option. On an aside, I also have a sneaking feeling that something in this bronzer clogs my pores if I use it multiple days in a row. 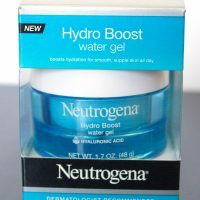 When I first got it I used it a ton and started to notice some tiny bumps on my cheeks. A single days use doesn’t seem to irritate me too much, but its just something to keep in mind if you’re very sensitive or acne prone. And last (but certainly not least) is this adorable sample of the Tarte Amazonian Clay Waterproof Bronzer in Park Avenue Princess ($30) that I got from an Ipsy bag. Truthfully I don’t reach for it a ton, but it is a nice product. 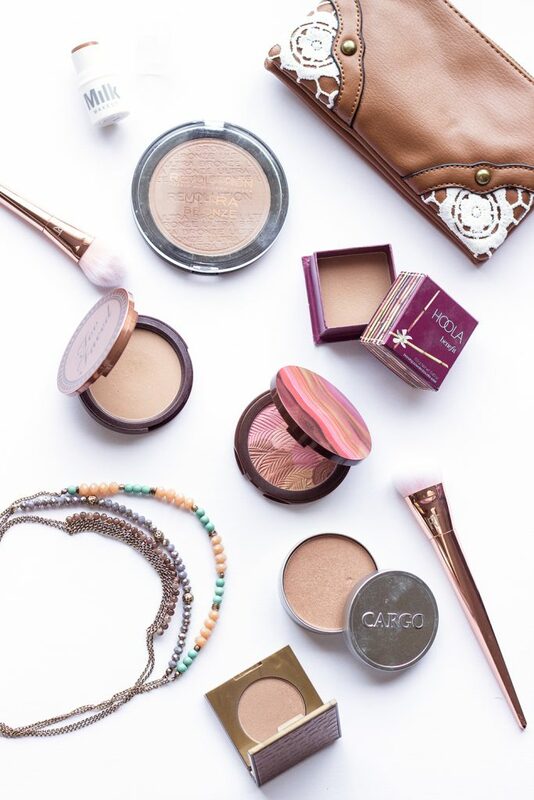 Much like the Cargo Swimmables, this bronzer also has a bit of golden shimmer and is water resistant. However (as you can see from the swatches below) the finish of it is much more neutral, which I think is a bit more flattering. I think if you were interested in purchasing a glowy bronzer, I would probably opt for this one over the Cargo one. It’s just as pigmented and long wearing, minus the potential oompa loompa factor. It also doesn’t hurt that Tarte’s packaging is flippin’ gorgeous. The only reason that I haven’t decided to pick up the full sized version of this myself is that I’ve already got 6 other bronzers, and I know that I’m not going to reach for something with a shimmery finish most days. So there you go, people. I do understand some level of restraint. I loved doing these side-by-side swatch comparisons. 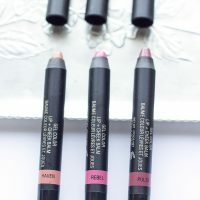 I feel like we see them all the time with eyeshadows, but not so much with this kind of product. You can definitely see that while yes, bronzer is bronzer, these 7 products are all pretty different in terms of undertone and finish. So there you have it! I have to admit, writing this post was a lot of fun. I’m such a type A organizer, and going through my stash and swatching everything was incredibly satisfying. Hopefully hearing my feedback and comparisons of all these bronzers will also be helpful to you guys, especially if you’re debating picking any of them up for the summer. I definitely encourage my fellow makeup hoarders to sit down and start shopping your stashes as well. You never know what you might re-discover! I’d love to know what you all would like to see me “shop” next. Foundations? Blushes? 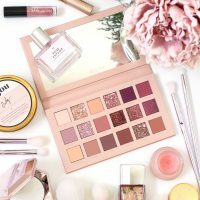 Eyeshadow palettes? Let me know in the comments down below!